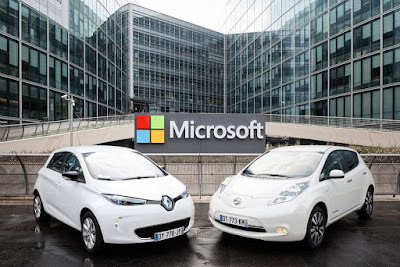 The Renault-Nissan Alliance and Microsoft have signed a global, multiyear agreement to partner on next-generation technologies to advance connected driving experiences worldwide. The companies will work together to develop next-generation connected services for cars powered by Microsoft Azure, one of the company’s intelligent cloud offerings. These new services will improve customer experience via advanced navigation, predictive maintenance and vehicle centric services, remote monitoring of car features, external mobile experiences and over-the-air updates. The Renault-Nissan Alliance is pioneering autonomous driving and connectivity features on mainstream, mass-market vehicles at affordable prices. The Alliance aims to develop connectivity technologies and features to support the launch of more than 10 vehicles with autonomous driving technology by 2020 with services to maximize better use of newly found in-car free time. Microsoft Azure provides a proven, secure global cloud platform with unlimited scale that allows Renault-Nissan to deliver services worldwide to its broad customer base. 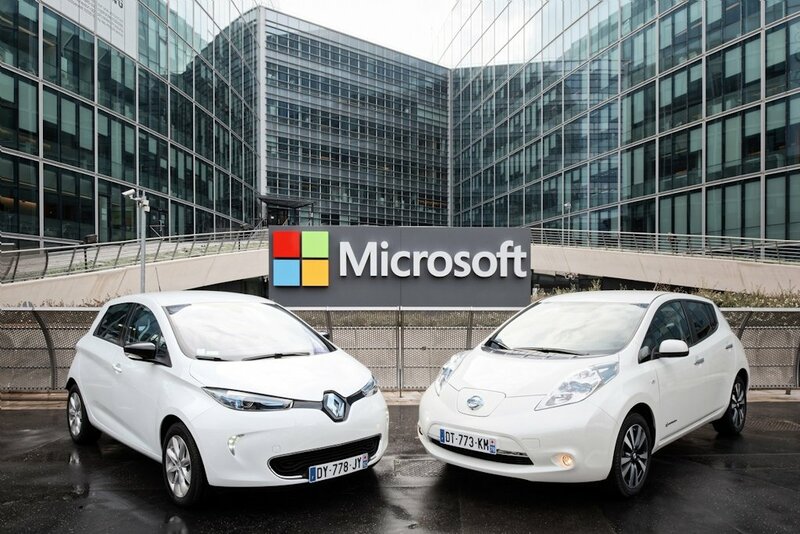 Renault-Nissan selected Azure in part because of its enterprise-grade security and Microsoft’s rigorous commitment to compliance. In addition, Azure supports multiple operating systems, programming languages and tools, providing flexibility and choice to build a common platform for Renault-Nissan to deploy services to both Alliance brands. Allow customers to personalize and protect their settings: Customers will be able to customize their settings knowing that data is safe and that they have the option to transfer the settings from one car to another, or lock them and disable transfer. By adding a driver-centric experience in the car, the drive becomes personal and allows for things like adaptive route suggestions and advanced navigation. Productivity: With Microsoft, Renault-Nissan will expand the realm of productivity into the car – transforming the daily commute into a productive experience by seamlessly integrating the digital experiences present at work and life into the car. Give access to over-the-air updates: Customers will be able to download over-the-air updates to, for example, have the latest autonomous drive software and collision-avoidance applications. Help customers stay in touch: Customers will be able to easily check in and communicate their estimated time of arrival, or alert friends to a change of plans. They will also be able to use automatic payment from the car for highway tolls or parking, with a simple touch from the comfort of their seat. Monitor the car from a distance: Car owners will be able to monitor their car from anywhere, through their mobile phone or laptop. They could transfer control to a friend or relative who needs their car – without transferring physical keys. They will use a mobile application that helps them find the car, can trigger remote charging and preconditioning and lock and unlock the car. Protect the vehicle: Tracking software locates a stolen car and disables it at the next practical opportunity. “Geofencing” technology creates invisible fences around the car that will enable notifications when the car enters or exits a predefined area or route. Improve the vehicle experience: By adding connectivity, customers will be able to have access to advance vehicle diagnostic services, allowing the car manufacturer to deliver unique features. Collecting real usage data will also support vehicle engineering to improve manufacturing quality.